This week we look at the health benefits of sleep from an article in New Scientist, are you getting enough? Look at what free stuff came out this week: a free webinar. And what’s coming up soon: a free show. Poor sleep is linked to depression, obesity and immune disorders. So should doctors ask about a patient’s sleeping patterns along with the usual blood pressure, BMI, etc. BANT recognises the importance of sleep, which is why it’s included in the Wellbeing Guidelines. Read the article here. If you didn’t catch it, this week’s Igennus webinar on inflammation included nutritional strategies that could be employed for inflammation-based illnesses. It was really interesting and informative, presented by the knowledgeable Dr. Nina Bailey, without too much product promotion going on. You can view the recording here. This free show is on for 3 days at London’s Olympia on 8th to 10th July. It’s a chance to take a break from your studies to sample free from products, see some cooking classes and find natural beauty products. If you’re not London-based, the show is going to other venues around the UK so keep your eyes pealed. Get you free tickets here! I decide to study nutrition as my children are growing up and I wanted to start working again, but wished to do something I felt passionately about and that would be flexible around my family. I’ve not always followed a low-toxic diet (having enjoyed far too much alcohol than I should in my time) but have always been aware of what I was eating, probably as a result of being brought up in the middle of nowhere in Northumberland with the benefits of our own kitchen garden enforced on me from an early age. I had a brief foray into Medicine after school but changed degrees to Economics after a year as my direction in life was unclear. I worked as an Investment Manager but ‘retired’ when I had children and at this point began to regain my focus on nutrition. Since the day I found out I was pregnant I have never touched another sip of diet coke (a previous staple!). 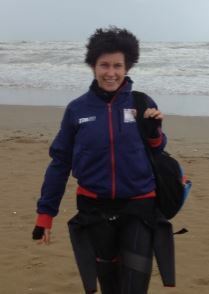 I also found my other love which is running and more recently triathlon. I was a participant in a research project in 2013 that involved lots of Genova testing throughout our training and culminated in completing the Barcelona Ironman! It was run by an eminent sports nutritionist and physiologist, who offered me lots of advice and, maybe unknown to him, helped me make my final decision to take the plunge into study again. Something I always said I would never do. He recommended CNELM to me. I love endurance sport and people assume this is the path I will follow in my future nutrition career. Whilst it will be one arm of what I do, I’d also like to work in practice with others, such as physios and osteopaths, perhaps with a focus on women’s health. Plans are still evolving and I am excited about where the future may take me. BANT cautions against a ‘one-size-fits-all’ solution of bariatric surgery as standard option for treatment of type 2 diabetes in obese patients. Obesity and diabetes are complex issues which require interventions at multiple levels to achieve both effective prevention and successful treatment of existing problems and where necessary, bariatric surgery may be one of the solutions. However, diabetes does not happen overnight. It happens over years of chronically raised blood sugar and insulin levels stemming from excessive refined carbohydrate intake, increased stress levels, systemic inflammation and lack of exercise. 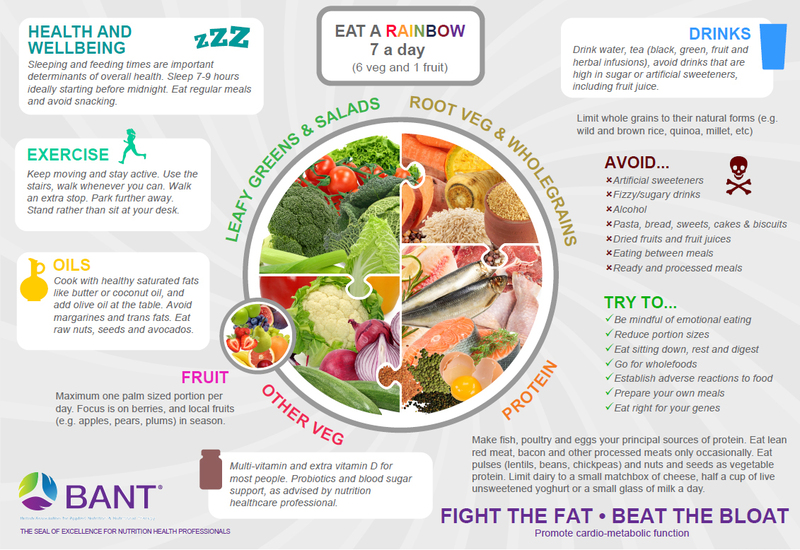 BANT recommends that GPs refer patients at risk of obesity or diabetes to Registered Nutritional Therapists or Dieticians as early as possible to give them an opportunity to manage their lifestyle and diet to avoid onset of diabetes. Click here to access the full press release. BANT (British Association for Applied Nutrition and Nutritional Therapy) was very interested to see the coverage relating to the Public Obesity Forum’s announcement. BANT recognises the need for an overhaul of public guidelines and supports urgent action on key issues affecting the health of the nation. 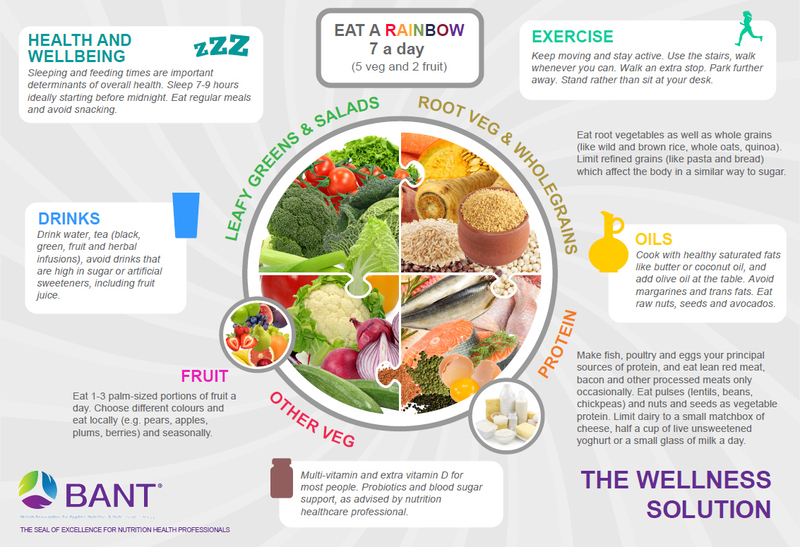 BANT’s experts have carefully developed a set of Wellbeing Guidelines based on the latest science and research in the field of nutrition for optimum health. 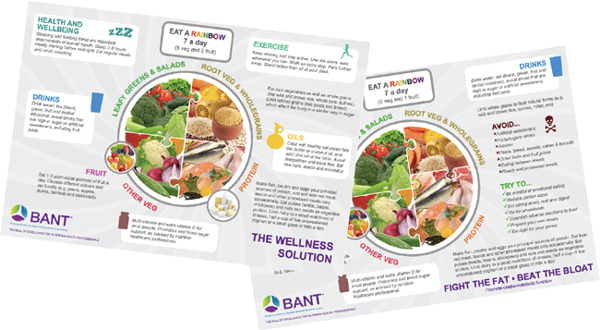 The BANT Wellbeing Guidelines (The Wellness Solution and Fight the Fat/Beat the Bloat) present the most current and well-researched information available to the public and were developed as a response to the one-size-fits-all public health guidelines. Click here to access the full press release. Welcome to the May edition of BANT ENews. This month’s edition focuses on mental health and diet, with a fascinating and useful featured article by BANT member Eleanor Strang asking whether diet is the missing link; an interesting video of Prof Rucklidge discussing the data that shows an alarming picture of food choices serving as risk factors to all kinds of psychiatric problems and a mental health themed recipe by BANT member Katherine Tate, aka ‘The Food Teacher’. This month also sees the arrival of two new sections: ‘In the News’, whereby we will be listing media coverage which includes a BANT reference, achieved by our members and ‘Noticeboard’ where organisations and individuals can solicit help for research/surveys on the proviso that the results will be published in a future BANT ENews to benefit all of our members. Welcome to the May edition of BANT ENews. This month’s edition focuses on mental health and diet, with a fascinating and useful featured article by BANT member Eleanor Strang asking whether diet is the missing link; an interesting video of Prof Rucklidge discussing the data that shows an alarming picture of food choices serving as risk factors to all kinds of psychiatric problems and a mental health themed recipe by BANT member Katherine Tate, aka ‘The Food Teacher’. This month also sees the arrival of two new sections: ‘In the News’, whereby we will be listing media coverage which includes a BANT reference, achieved by our members and ‘Noticeboard’ where organisations and individuals can solicit help for research/surveys on the proviso that the results will be published in a future BANT ENews to benefit all of our members. Access the BANT news here. This week we’re highlighting two new research papers and a quick recipe to help make the most of your study time! The first paper, from Boston researchers investigates lifestyle factors in the prevention of cancers. The second looks at the gut microbiota of children with multiple sclerosis. Results estimated that around 20 – 40% of cancer cases and around 50% of cancer deaths could be prevented by these lifestyle modifications. Read more. Researchers from Canada and the USA published research in the European Journal of Neurology that analysed the gut microbial community of paediatric multiple sclerosis patients and how it may influence neurological disease. It was concluded that the observed microbiome was pro-inflammatory and could up regulate pathways associated with neurodegeneration. Read more. In a small bowl, whisk together the balsamic and mustard, slowly whisk the olive oil until well combined; season with salt and freshly ground pepper. In a large bowl combine the spinach, strawberries and nuts. Pour dressing over salad, toss well to combine. Divide among 2 plates and serve. This week we look at research around the benefits of fruit and veg, finishing with a shot of alcohol research. Firstly, researchers from Boston found that eating fruit and vegetables was associated with a lower incident of breast cancer. Researchers from the University of Warwick identified a combination of plant compounds that induced the beneficial metabolic enzyme Glo1. And Danish researchers looked at the effects of alcohol intake on two health outcomes in post-menopausal women. Research published in the British Medical Journal (BMJ) looked at how fruit consumption in adolescence and vegetables and fruit in early adulthood impacted the development of breast cancer. It was concluded that consumption was associated with lower breast cancer risk, adding, “Food choices during adolescence might be particularly important”, Read more. Researchers from the University of Warwick published a paper in the journal Diabetes that investigated whether the combination of two plant derived compounds trans-resveratrol (tRES) and hesperetin (HESP) could induce expression of enzyme glyoxalase 1 (Glo1). Glo1 can block methylglyoxal (MG), a driver of insulin resistance and blood vessel damage. A supplement containing tRES and HESP was demonstrated to increase Glo1 activity, reduce insulin and blood vessel inflammation. Read abstract. A Danish study published in the BMJ looked at the alcohol intake of post menopausal women over five years. It showed that women, who increased their alcohol consumption by 1 to 2 drinks a day, compared to those with stable alcohol intake, moderately increased their risk of breast cancer and reduced their risk of coronary heart disease. Read more. Here are three research titbits that pique my interest this week. Firstly, John Hopkins researchers found a link between mental illness and yeast infections. Further research from Washington University paints fructose in a negative light, this time for the impact on foetuses. And finally, for anyone sitting exams soon, research from Japan found that daily probiotics reduced pre-exam stress markers. Researchers from John Hopkins University School of Medicine published research in Nature that looked at Candida albicans in patients with mental illnesses. An association was found between Candida infections, schizophrenia and bipolar. The assistance professor Emily Severance, Ph.D. said the research was at an early stage, “However, most Candida infections can be treated in their early stages, and clinicians should make it a point to look out for these infections in their patients with mental illness”. Read more. Research published in Nature assessed the impact of a maternal diet high in fructose in mice on the offspring. Smaller foetuses were seen, with raised triglycerides and uric acid. Blood samples from a number of women at the time of delivery, were found to correlate with the mouse results. Dr. Moley explained, “The body tries to compensate for the small growth in utero, These babies can become kids and then adults struggling with obesity and other health problems.” Read more. Research published in the journal of Applied and Environmental Microbiology looked at the impact of consuming daily probiotics in the typically stressful period leading up to exams. Stress is biochemically characterised by raised cortisol levels. The researcher Miyazaki said that probiotics, “dampened the rise in salivary cortisol”. Read more. This week, new research shows the dangers of fructose and further benefits of fruit & veg. UCLA scientists report omega-3 can reverse fructose damaged genes, research identifies key antioxidant that protects against immuno-inflammation related to brain ageing, sleep deprivation shown to reduce ‘good’ cholesterol. A new study published in EBioMedicine (published jointly by Cell and The Lancet) by UCLA life scientists found that fructose can damage hundreds of genes in the brain. Disruption was identified in the areas of metabolic, cell communication and inflammation regulation. However, the researchers also discovered the omega-3 fatty acid, docosahexaenoic acid (DHA), seems to reverse the harmful changes. Xia Yang, a UCLA assistant professor said, “DHA changes not just one or two genes; it seems to push the entire gene pattern back to normal, which is remarkable”. Read article here. An international researcher team led by the Italian University of Molise, published a fascinating brain ageing mechanistic review in Immunity & Ageing. The research looked at the protective role of phytochemicals from fruit and vegetables, herbs and spices inregulating immuno-inflammatory oxidative and nitrosative stress (IO&NS) seen in brain ageing. Transcription factor nuclear factor E2-related factor 2 (Nrf2) was identified as a key protective antioxidant. Nrf2 can be induced by the phytonutrients anthocyanin, catechin and epicatechin, found in red/blue coloured fruits and vegetables, cocoa and others. Read full study here. Further evidence on the detrimental effects of sleep deprivation was recently published in Scientific Reports. The study found that, “just one week of sleep deprivation begins to change the body’s immune response and metabolism” said Vilma Aho, the study’s co-author. Lower circulating high density lipoproteins (HDL) was seen in the sleep deprived population. Read article here. On the last Friday of every month we invite a BANT student member to guest blog for our Student Spotlight page. This month, Sharon Peck, from the Centre of Nutrition Education & Lifestyle Management, talks about the her journey from nutritional wastelands to Nutritional Science student.